We wish to pay tribute to Mart R. and Helen M. (Pelchy) Matteson. they were our grandparents and lived at Rose Lake, Potter Co., Genesee, Pa.. They were wonderful people and grandparents. Mart once constructed a building made completely out of doors. People came for years and would travel many miles to see this building. It was a great landmark and very well done. In 1920, at age 31 Grandpa lived in Ward #1 Boro, Coudersport, Potter, Pa. and was a fireman. Grandma was a great cook and made most of all her food from home-grown garden foods. She made her own cottage cheese which was so delicious. It was like all of the grandchildren had 2 sets of parents. Almost every time we walked down to visit they gave us candy from a candy cupboard. They were very kind and taught us so much. Mart R. Matteson was born in 1888 and died in 1984. He was a tall man and a lot of fun. Helen M.(Pelchy) Matteon was born in 1902 and only weighed 2 pounds when born. She died in 1975. Both are buried in Woodland Cemetery, Coudersport, Pa..
Orville M. Matteson: Born in 1920. He was a military veteran and worked for GM in California until his retirement. Alva James Matteson: Born in 1922. He married Winifred Stratton and had 2 children. Al was a great carpenter. Ernest N. Matteson: Born in 1923. Lives at Rose Lake, Potter Co., Genesee, Pa.. Ernest married Helen and had 6 children. Ernest was a great carpenter and a very dedicated military man. Iva Jean (Matteson) Austin: Born in 1925. Married Russell Austin and had 3 children. Iva was a very nice and kind lady. Agnas (Matteson) Currier: Born in 1928. Married Burt Currier and had 4 children. She also loves animals and her pets. Phyllis Marie (Matteson) Denhoff: Born in 1932. Married James L. Denhoff Sr. and had 5 children. A great mother and father, which gave their children a great up-bringing and life in the country. Marion Mart Matteson: Born in 1934. Married Mary and had 4 children. Marion is a great mason. Mildred (Matteson) Maxwell: Born in 1937. Married Roland Maxwell and had 6 children. 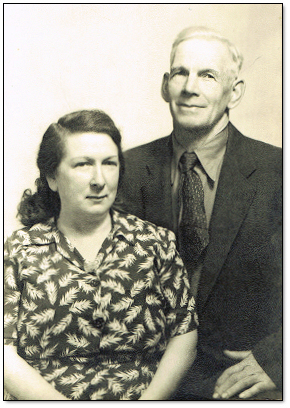 Mildred and Roland (also called Tex), lived for many years in Texas. Mildred was a beautiful lady. Mart and Helen Matteson's door was always open. They were loved and honored by all their family. We are so thankful to have all lived close and had many wonderful years spent with them.